Hill’s horror stories continue to impress. This one is built around a spore which tends to make infected people burst into flame. Needless to say, infected people are not valued by the healthy. Of course, it all sounds far fetched, but Hill does a nice job of putting enough science in his plot to make it scarily plausible. Horror needs likable heroes, out-of-control situations, a truly bad guy, and lots of surprises. Hill satisfied all these requirements. He also has a nice sense of pacing: It’s not a non-stop rollercoaster ride, you have opportunities to catch your breath before the next terrorizing sequence hits. Of course, Hill grew up in a house with the master of horror — his father, Stephen King. It’s interesting to note though that his agent didn’t know about Hill’s family ties until years into their relationship. Joe Hill sold on his own merits, as proven by each of his novels. There are some big action sequences you can easily imagine translating to the silver screen. 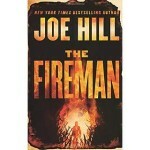 However, it’s Hill’s endearingly upbeat heroine and his enigmatic hero who make the plot catch fire. People contracting Dragonscale often combust, sometimes taking down whole buildings in the process. Nurse Harper Grayson helps the infected at a New England hospital until she contracts the disease. Husband Jakob wants a suicide pact, but she wants to protect her unborn child. The mysterious Fireman take her to what might be a safe haven from her husband and others who hunt down people with Dragonscale. But her new home is beset by dangers both from the outside and within. 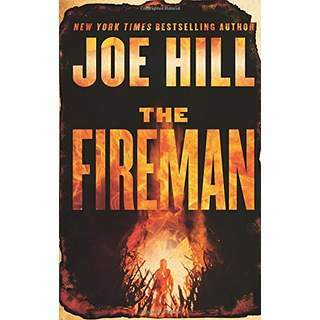 Want to know more about Joe Hill and his horror novels? Click here. This action-packed spy thriller was not what I expected from this writer. He usually takes a mystery from the distant past and wraps a modern context around it. This drew from the 1980s Cold War with the USSR. I felt like a victim of “bait and switch,” since the title and cover art both led me to believe the plot would center around something related to the American Revolution. There was a connection but one only marginally connected to the main plot. It was certainly action packed but bits of exposition were often tediously repeated. And, going 80s style spy vs. spy was a big disappointment. Berry has long been my favorite thriller writer due to the way he took old mysteries/conspiracy theories/etc. and gave them a contemporary importance — like Dan Brown, only better. Maybe if I had never read anything else he wrote I would feel differently. However, I’ve bought and read all his books. Not so sure about the next one, though. An old KGB agent is determined to get back at America for the collapse of the Soviet Union by using a suitcase nuclear bomb. One-time Magellan Billet agent Cotton Malone is on the case, and starts by getting shot down over Siberia. An important note: Absolutely do not read the front dust cover flap if you are interested in this book. It reveals almost the entire plot. This masterful novel is part mystery, part ghost story, part character study, and completely excellent. With stunningly beautiful prose and a page-turning plot, it’s a win for readers of all stripes. One of the best books I have read in a long time, this satisfying novel is also unsettling and laced with pain. Suicide and murder, orphans and lost souls, faith and faithlessness, failing farms and wealthy newcomers give rise to a melange of yearning, disappointment, and hope. Even secondary characters are well-drawn and believable. The primary ones are truly exceptional– including one of the coldest players to ever crawl out of a writer’s imagination. The art inspired by the Hudson River Valley setting and the influential spiritual beliefs of Emanuel Swedenborg add depth to the narrative, reinforcing the pressures and power of the plot. Art history teacher George Clare comes home to find his wife murdered and young daughter alone in a house that has already seen great tragedy. From this point the story moves back to explore the Hale family, who lived there before George and Catherine, and the year preceding Catherine’s murder. For more about Elizabeth Brundage and her work, click here.